The J. Wayne and Delores Weaver Tower addition is sited adjacent to the south side of the existing Baptist Medical Center Downtown hospital. 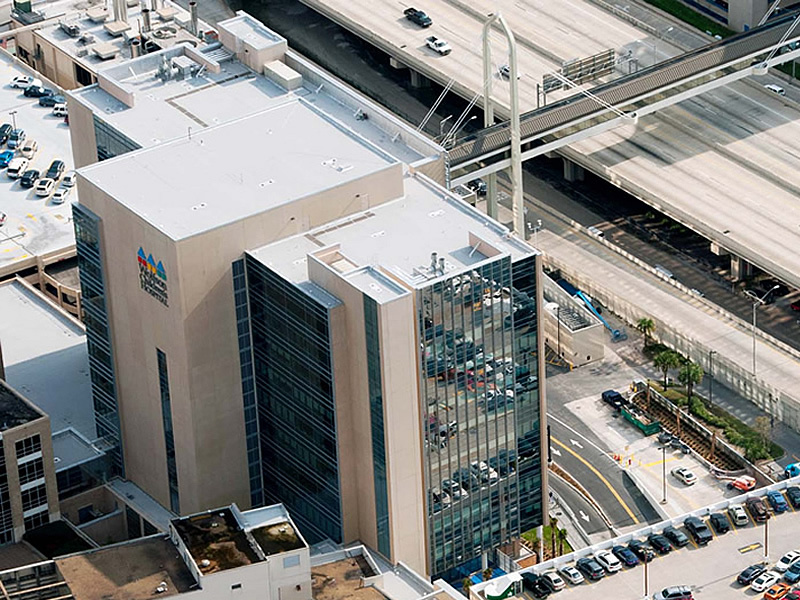 The project consisted of a 11-story, 339,404 square foot tower addition to the current BMC downtown campus Wolfson Children’s Hospital (WCH). 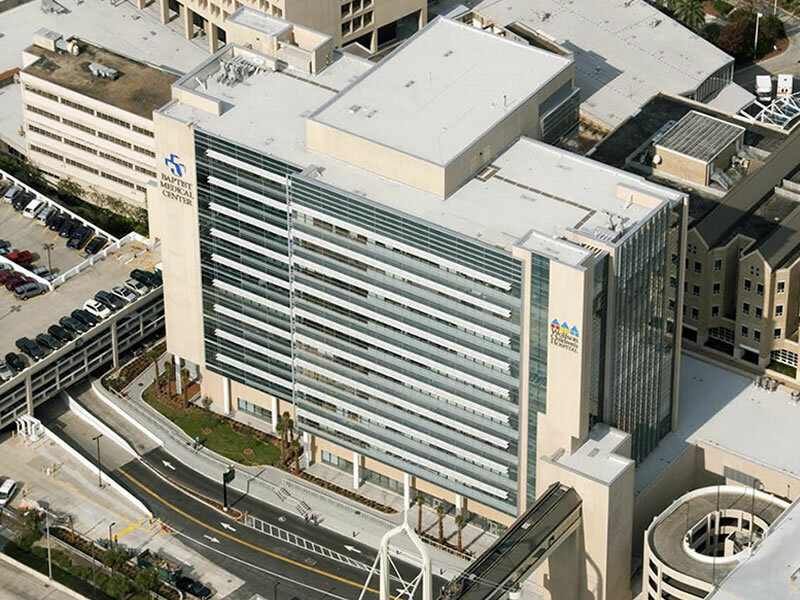 The new addition has provided Baptist Health the ability to grow with the community by providing state-of-the-art neurosurgical and cardiovascular surgical suites, 160 plus beds in private patient rooms and intra-operative imaging capabilities. Demolition of the existing East Wing of the 1956 hospital was required prior to the start of construction for the new tower. Much care was taken to protect the existing campus utility corridor which runs beneath this east wing during demolition and new construction. A portion of the existing overhead pedestrian bridge/corridor was removed north of the Central Energy Plant support column. A section of the bridge was retrofitted and analyzed to be reconnected to the south side of the new tower. Demolition of a portion of the Palm Avenue garage 2nd level to grade exit ramp, and reconfiguration of the garage traffic patterns was required by the proposed building footprint. Established the selection of the Structural System comprised of reinforced concrete frame at the lower levels supporting a concentrically braced structural steel frame used in the rest of the structure. Provided Structural Criteria for Geotechnical Consultant.